The Greenwood Estate is an exclusive freehold landed development located along Greenwood Avenue off Dunearn Road, in one of Singapore’s prime residential districts, Bukit Timah. The prestigious three storey terrace houses at The Greenwood epitomizes the best of luxury living in a quiet and tranquil neighbourhood, constructed with awe-inspiring architecture and quality finishes. Within The Greenwood Estate's vicinity are a host of private country clubs and leading educational institutions like Raffles Girls’ Primary School, Methodist Girls’ School and Hwa Chong Junior College. International schools like the Dutch, German, and Swiss Schools are also nearby. The Greenwood Estate is strategically located between Bukit Timah and Holland Road and a stone's throw from the popular Holland Village. It is also near to the Turf City and Guthrie House where amenities like supermarkets, restaurants, eating places, post office and many other variety of shops can be found. 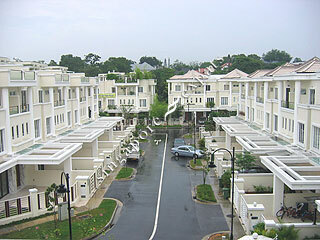 The Greenwood Estate is accessible via the nearby Pan Island Expressway (PIE) which leads to Changi Airport and all other parts of Singapore. Commuting to Orchard Road takes a mere 5 minutes.